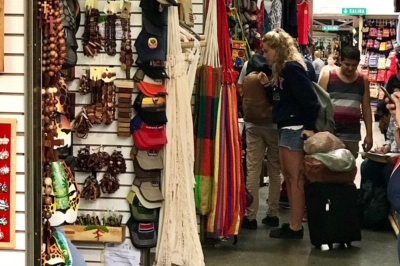 Located in front of the Plaza de la Democracia, this space is filled with stands where local artists and vendors display and market their crafts, made with local materials. Housing around 80 stores with unique handiworks, the ones made with national wood stand out. With such a large variety of Costa Rican wood products available it can be a tough decision to choose just one! 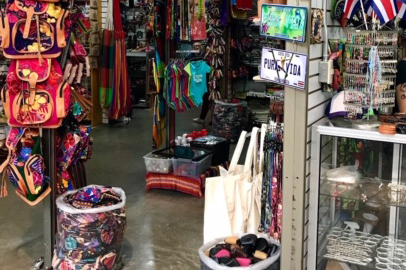 There is something for everyone here … from clothes with phrases alluding to Costa Rica as the popular “PURA VIDA” to designs highlighting our beautiful animals. The prices are decent, considering that all these products are handmade by artisans. In addition the place is striking due to the kindness of its vendors. 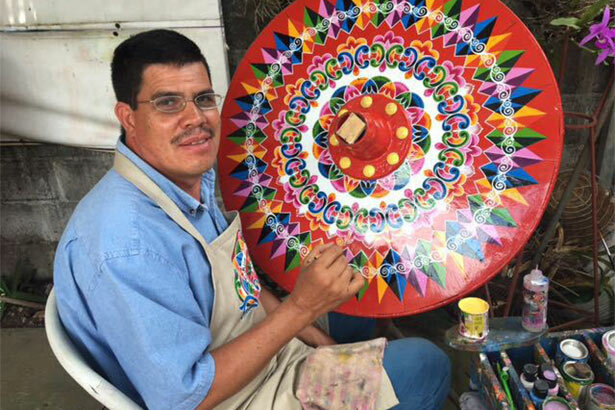 Of course everyone wants to sell their product, but their kindness is part of that genuine culture that most Ticos have! 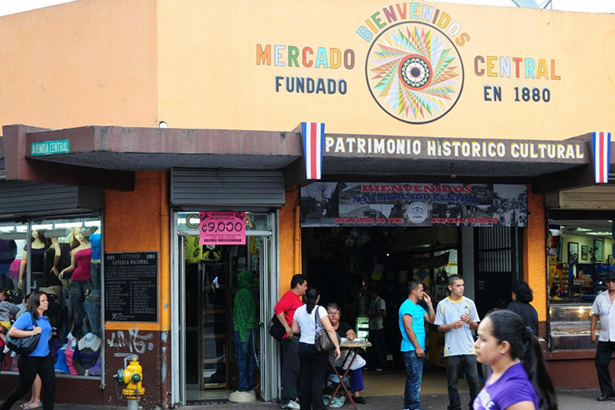 When you ask a Costa Rican where to find pretty much anything, their answer will be – “At the Mercado Central!” This mazelike market occupies whole block of the Central Avenue of San José and is a place that best reflects the idiosyncrasy of our country. 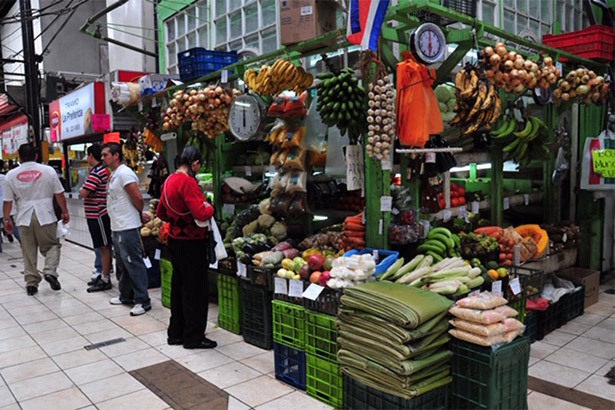 The majority of the people who visit this market are Costa Ricans from the lower to middle class, because the products are much cheaper than in neighborhood supermarkets. 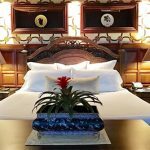 Here you will find everything from raw fish to the most beautiful handicrafts not to mention all types of medicinal plants, groceries, and sewing products. It is a noisy, crowded place, but the people here are friendly and cheerful. A spot not to miss is the the sorbetera ice cream! Named after the machine in which these ice creams are made, they are so well made that when tasting them it will be as if you were eating the same fruit they are made from. You have to try them!. A great way to visit this market is on tour. That way you are sure not to miss the highlights of the market and still have time for some shopping. Tours can be reserved through our front desk. 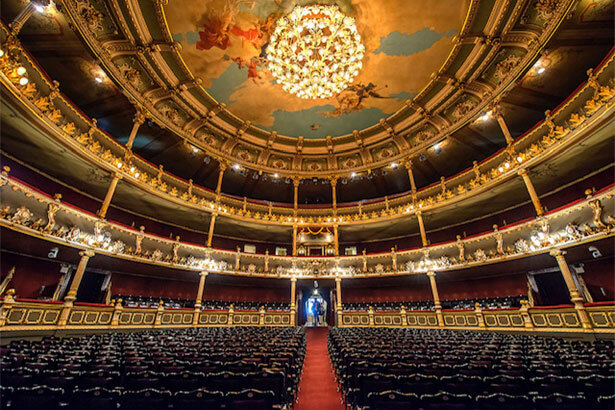 This is a beautiful theater … also small compared to those of other cosmopolitan cities, is full of charm and history. The theater was built in 1897. 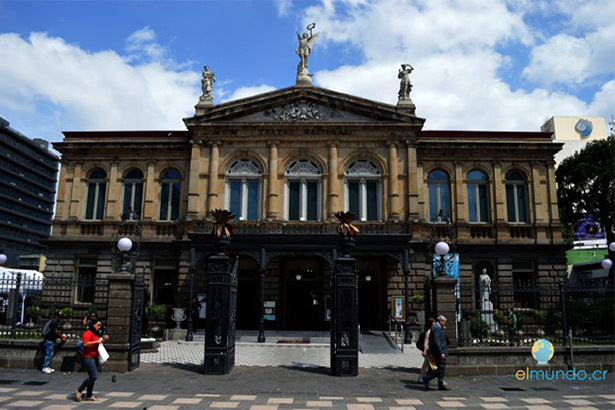 It is considered one of the most important buildings in national history and the main architectural jewel of the city of San José. 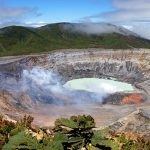 Different precious woods were used in its construction, mostly from our province of Alajuela as well as imported iron, marble and gold brought from Italy and France. 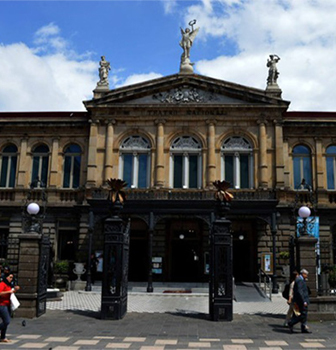 It has a Renaissance architecture of the purest neoclassical style and is decorated inside with scenes of coffee harvesting … it is commonly called our “Grano de Oro”! No doubt you will love it. The Theater has daily guided tours from 9 a.m. to 4 p.m. for the modest sum of $ 10 per person. Don’t miss the “Theater Café” (inside the same Theater building), which specializes in making all kinds of gourmet coffee drinks.